Join us at MPavilion with our friends from La Trobe University for an afternoon exploring a wide array of Asian culture. Stimulate the mind and body in an afternoon of activities with hosts Sunalini Arya, Eshan Arya and William Peng. Take a peek at, and join-in on, the visual pleasures of ancient Devanagari scripts and Chinese calligraphy set alongside the wonders of contemporary Asian art. 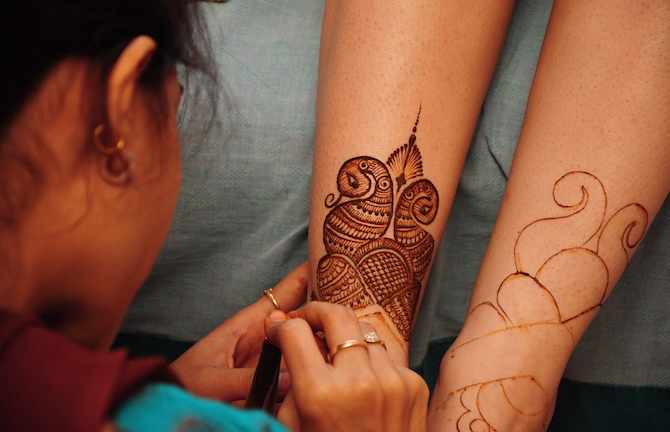 For the more adventurous, have your hands painted in henna with designs dating back to the earliest Vedic Hindu ritual books. Or if you are looking for something a bit more active, there will be the fun and excitement of a Bollywood dance masterclass or the spirituality of Tai-Chi sessions. Don’t miss it! This is an afternoon for the whole family—young and old. All this activity is sure to make you peckish! We are happy to tell that the Rasa-lah Malaysian Food Truck will be on-site at MPavilion serving up delicious Malay flavours from 12pm–6pm.